Complementary medicine refers to a group of diagnostic and therapeutic disciplines that have not been adopted by mainstream Western medicine. 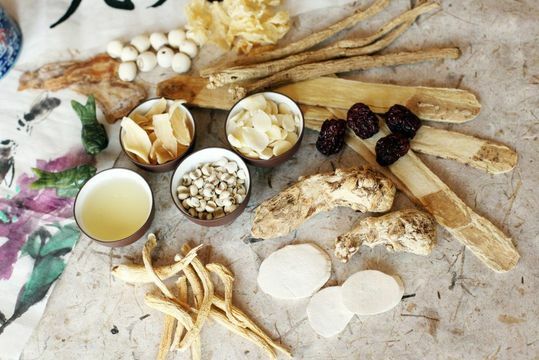 Also termed complementary and alternative medicine (CAM), or functional medicine, examples include Chinese medicine, acupuncture, and advanced clinical nutrition. Complementary medicine takes a holistic approach to treatment that considers a patient’s lifestyle, habits, and background. A growing number of people are using alternative therapies to improve their well-being. The criteria for selecting a complementary health practitioner are similar to considerations for choosing a conventional medical provider. Credentials, experience, and patient testimonials are good places to start. Other important factors generally include finding someone you can trust, who listens to and understands your individual goals and needs, and who will take the time to thoroughly answer all of your questions. Your practitioner should also understand the value of conventional medicine, and be willing to work alongside your regular physician. The thyroid gland produces hormones that influence nearly every metabolic process in the body. An overactive or underactive thyroid can lead to symptoms including hair and skin problems, fatigue, depression and anxiety, weight fluctuations, gastrointestinal problems, swelling, and pain. Thyroid problems are often misdiagnosed, leading sufferers to unnecessary testing and treatments that are ultimately ineffective. With years of experience, Dr. Mosher is able to diagnose and treat thyroid problems using natural medicine to restore patients' health. Chronic fatigue syndrome (CFS) is much different from general fatigue or exhaustion. CFS is a serious problem lasting for several months that can include symptoms such as mental fog, problems with memory and balance, muscle pain, headaches, bowel issues, and more. While many sufferers seek relief with synthetic drugs, careful lifestyle changes that promote total wellness can be much more effective. Dr. Mosher treats CFS with customized natural healing therapies including diet changes, acupuncture, exercise, and relaxation techniques. According to the Western model, pain is a condition that requires treatment. Dr. Mosher, however, is more concerned with how your body functions optimally, and what is causing the malfunction that is manifesting in pain. Until the source of your pain has been addressed, you will continue to experience a variety of ailments stemming from this source. Acupuncture is one of several pain therapies that Dr. Mosher offers. After evaluating your health through a variety of diagnostic tests, he can customize a treatment plan designed for your specific needs. Dr. Mosher advocates a functional approach to the management of anxiety and stress. Left untreated, stress can lead to a number of health problems including high blood pressure, heart disease, depression, premature aging, and digestive problems. Getting your stress under control can allow you to avoid these issues and experience an improved quality of life. Components of a treatment plan designed by Dr. Mosher may include meditation, acupuncture, exercise, and herbs and supplements customized to help you achieve wellness and a sense of calm that will benefit your overall health. Rates of autoimmune disease are increasing dramatically, along with other inflammatory disorders such as allergies and arthritis. The Western medical model’s approach is to treat inflammation with anti-inflammatory medications, and use increasingly powerful immune-suppressing medications. These can have serious side effects and affect total body wellness. Dr. Mosher’s functional approach is to first identify the source of inflammation in the body. He can then treat the source using natural remedies, along with recommended environmental and dietary changes. More than 3 million cases of depression are diagnosed in the United States per year. There is growing support for the use of complementary and alternative (CAM) therapies to treat mild to moderate depression. Several natural, non-drug therapies have demonstrated effectiveness to ease symptoms. 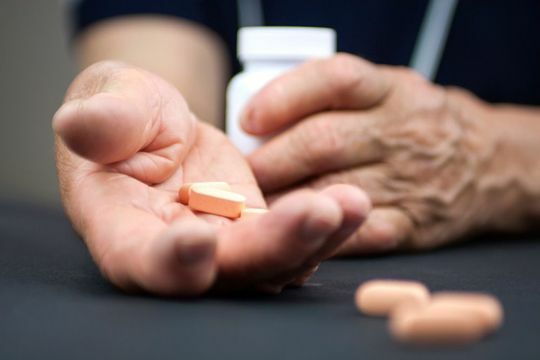 With or without the addition of pharmaceuticals, these therapies can offer a long-term solution with fewer side effects than the conventional approach to treatment. Complementary medicine for depression should be taken only under the guidance of a trained professional. Patients with rheumatoid arthritis experience swelling, stiffness, and pain in their joints. Symptoms usually begin in the fingers and toes and then spread out to the wrists, elbows, ankles, and knees. Like other autoimmune disorders, it can be debilitating and difficult to diagnose. Conventional treatments use increasingly stronger pharmaceuticals with potentially serious side effects to manage symptoms. Dr. Mosher’s functional approach instead focuses on finding the cause of the symptoms, and uses non-pharmaceutical treatments to provide relief. Skin conditions can be uncomfortable and distressing. In China, skin disorders have been treated for centuries with traditional Chinese medicine. Using a functional approach, Dr. Mosher can treat virtually every skin condition, including dermatitis, psoriasis, rosacea, eczema, alopecia, and acne. In addition, he often can treat related conditions at the same time. Dr. Moser's approach combines advanced technology with centuries-old practices to provide long-lasting relief. 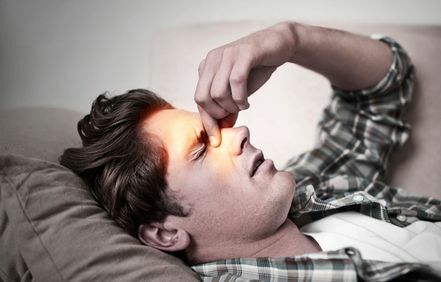 Sinusitis results in pain, pressure, headache, a stuffy or runny nose, and other unpleasant symptoms. Chronic sinusitis sufferers that are frustrated by conventional medical treatments often seek complementary and alternative treatments. While Western medicine typically relies on medications that treat only the symptoms and can weaken the immune response, Dr. Mosher focuses on finding and treating the cause of chronic sinusitis using safe, natural treatment modalities that boost the immune response. Conventional medicine typically treats back pain with pharmaceuticals that have side effects and may be highly addictive. Worsening back pain may be treated with surgery, but there is no guarantee that it will work. The complementary approach focuses on alternative treatments that are safe and non-invasive. Acupuncture and medicinal herbs are two effective alternative modalities to treat back pain. These may be combined with more traditional treatments such as chiropractic therapy, as well as yoga, meditation, and other mind-body practices. 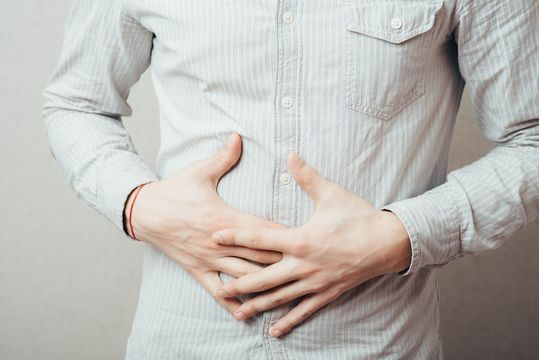 Irritable bowel syndrome (IBS) affects the intestines and is associated with diarrhea, constipation, gas, and bloating. It can be frustrating to treat because symptoms may come and go, seem contradictory, and vary significantly from patient to patient. Treatment with Western medicine focuses on relieving symptoms and generally consists of prescription medications that can have side effects. Complementary therapies use natural therapies with fewer side effects and focus on treating the whole person instead of just treating the symptoms. Traditional approaches to chronic knee pain include prescription and over-the-counter painkillers, corticosteroid injections into the joint, and knee surgery. Patients seeking to avoid surgery and reduce or eliminate their use of painkillers can benefit from complementary and alternative therapies. Acupuncture is the most widely accepted for treating chronic knee pain, and other therapies such as nutritional supplements and massage can also be effective. Dr. Mosher combines conventional and alternative approaches into a treatment plan that is customized for each unique patient. Migraines are a collection of neurological symptoms that produce intense, recurring throbbing head pain. Other symptoms such as nausea, vomiting, visual disturbances, and extreme sensitivity to light and sound can also be involved. Since there is no cure for migraines, they are commonly managed using drugs. Unfortunately, these can have serious side effects. Natural therapies for relieving headaches and migraines include massage therapy, biofeedback, cognitive behavioral therapy, acupuncture, and herbal supplements. Depending on the individual patient, these therapies may be used alone or in combination with traditional treatments. As one of the most common sleep disorders affecting Americans, insomnia can undermine both your physical and mental health. Because many conventional medications come with side effects, Dr. Mosher offers complementary insomnia treatments as a way of minimizing these effects while still allowing you to sleep soundly. Depending on the cause or causes of your sleep trouble, he may recommend dietary changes, acupuncture, herbal remedies, among other options. Your treatment will be customized to your needs and situation.